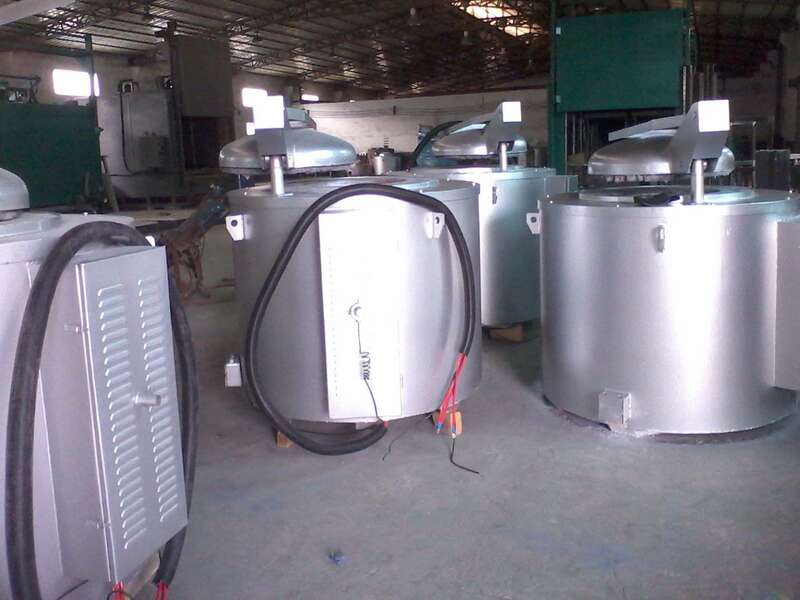 Aluminum alloy melting furnace is based on aluminum smelting process developed a new energy-efficient aluminum melting furnace, mainly for the melting and insulation of aluminum ingots, it can well meet the aluminum smelting process. The furnace is composed of melting furnace, crucible, heating element, lid lift mechanism, electrical automatic temperature control system. Aluminum alloy melting furnace is based on aluminum smelting process developed a new energy-efficient aluminum melting furnace, mainly for the melting and insulation of aluminum ingots, it can well meet the aluminum smelting process. The furnace is composed of melting furnace, crucible, heating element, lid lift mechanism, electrical automatic temperature control system. Furnace shell by the steel and steel welded into a cylindrical shape. In the lower part of the front of the furnace body, a hole is provided for the crucible to form a leak due to corrosion and oxidation cracks, so that the melt in the crucible can flow out of the furnace body through the hole to prevent the working chamber from being damaged.